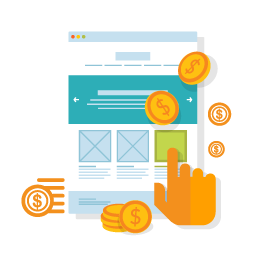 The PPC service that we offer at ProWeb Technologies consists of creating a particular solution that is cost-effective as well as reliable. The very essence of marketing or advertising is to reach out to your customers and get to know their expectations. With the boom of search engines, it has become all the more convenient to monitor what your customers are looking for. Hence, it pays to be present on the platform where the customers are looking for your brand or products in the same category. Our PPC advertising campaigns harp on our insights on some of the biggest search engines such as Google and Bing and ensure that you manage to reach out to a prospective customer. Through goal oriented and budget friendly campaigns, we have, in the past, managed to increase lead conversion for brands across a variety of sectors. We are constantly in the loop with our customers and provide reports and feedback at periodic intervals to ensure return on our customer’s investment. PPC Management Company in Mumbai, India offers Google Adwords PPC Management and Facebook ads management services.